Hell’s Canyon is the Snake River canyon bordering Idaho/Washington/Oregon. It has it’s lovely name for a reason. It gets really hot. 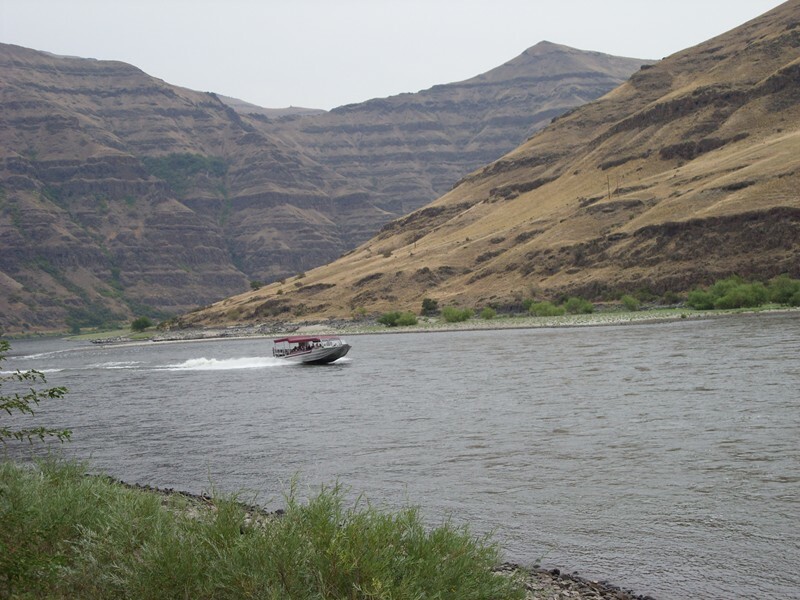 Hell’s Canyon is well known for jet boat tours up the Snake River among other things. My dad John, brother Brian, Brian’s girlfriend Nikki, and I were up there for a short vacation while Brian and Nikki were home from Wyoming. We played in the water, had BBQ on a beach, watched a pretty good lightning/thunder storm, saw tons of wildlife, and even got to take a trip to a casino (I lost, Dad won). Here are a few pictures we took. 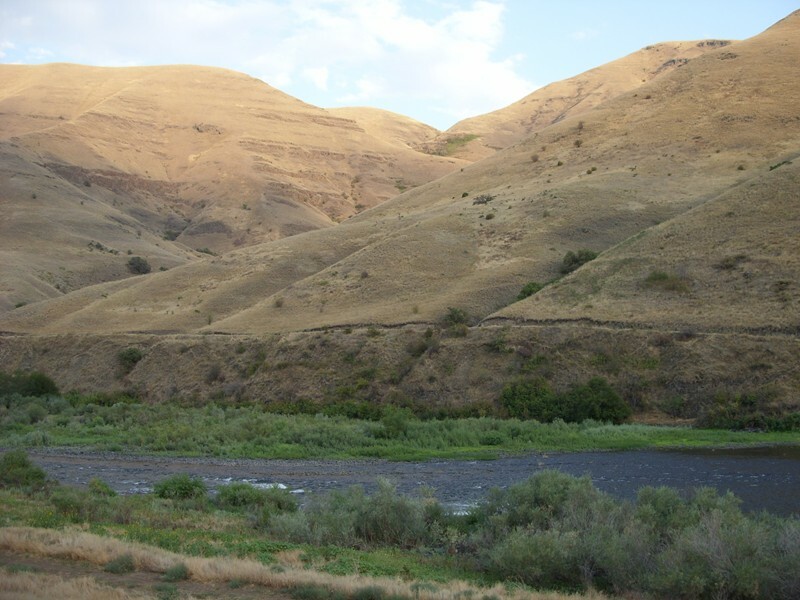 Picture top left is of the Grand Ronde River which feeds in to the Snake River. 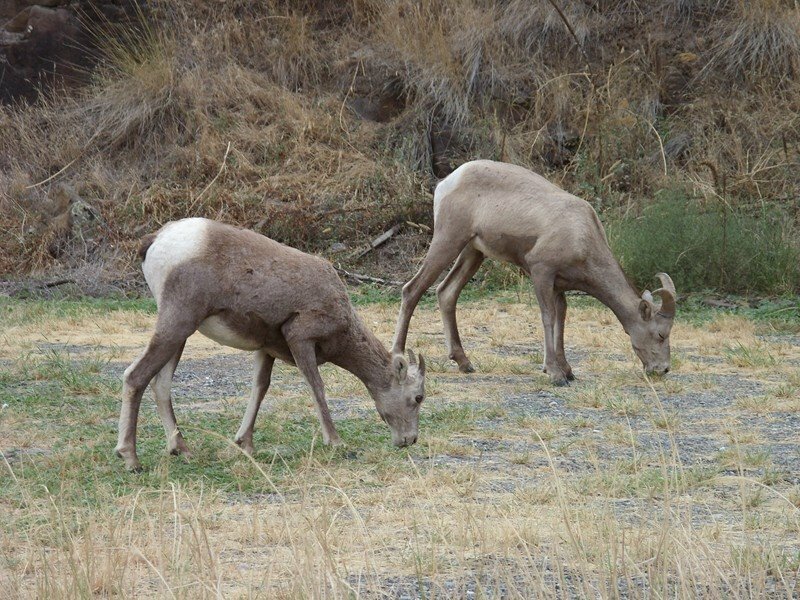 Top right picture is of a pair of big horn sheep. 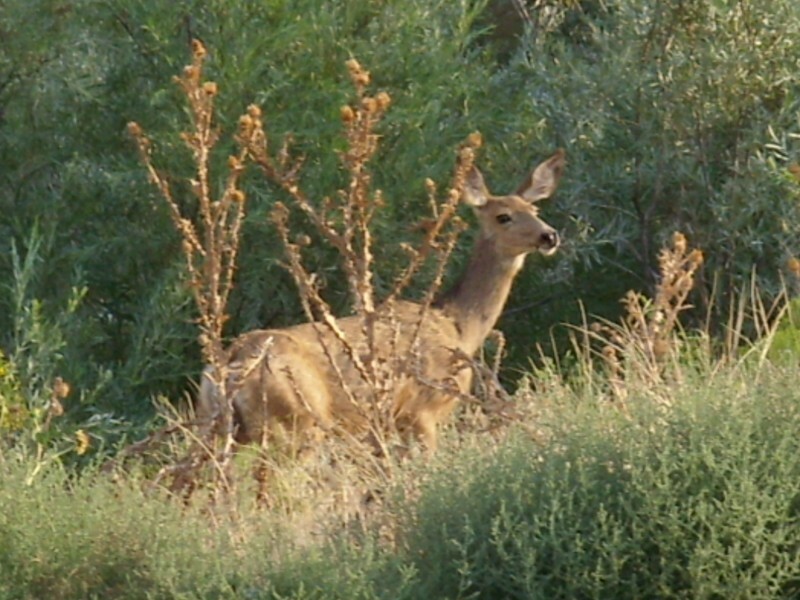 Bottom left is a mule doe at sunset. Bottom right is a picture of a jet boat on the Snake River at Heller Bar. We also witnessed some very brave and curious cats taking turns stalking the deer that came to investigate the peach tree. The deer were equally as curious. At one point, a spike and one of the cats were almost nose to nose! But then the cat made for the safety of the nearby car.